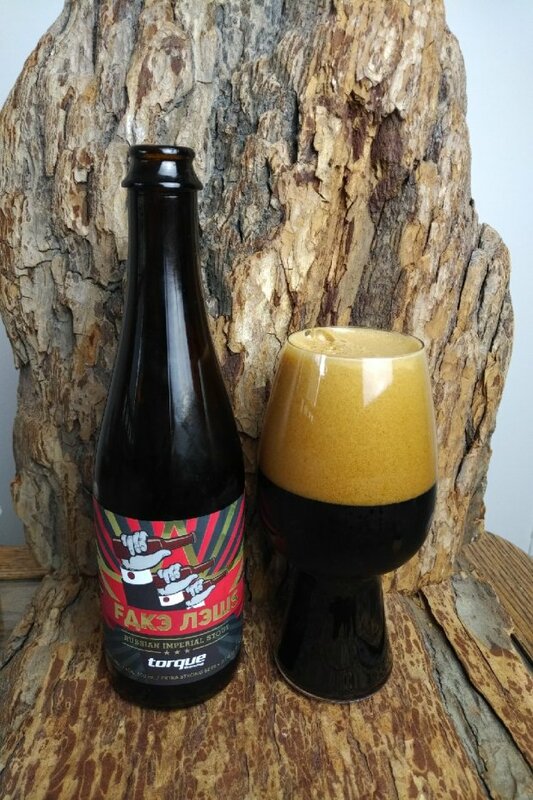 From Torque Brewing in Winnipeg Manitoba comes their “Fake News Russian Imperial Stout”. The beer pours an opaque black with a brown head. The aroma consists of chocolate, roasted malts, caramel and earth. The flavour is of roasted malts, earth, resin, bitterness, chocolate, caramel, toffee, smoke, some fruity notes and alcohol. The alcohol content comes in at 10% with and IBU of 65. If you can find Torque Brewing beer you will be quite happy with what you are enjoying but this brew may be the best one they have made to date. Commercial Description: A rich and velvety Russian Imperial Stout. Smoky with lots of roasted malt flavour, this classic ages in the bottle well or can be enjoyed right away.